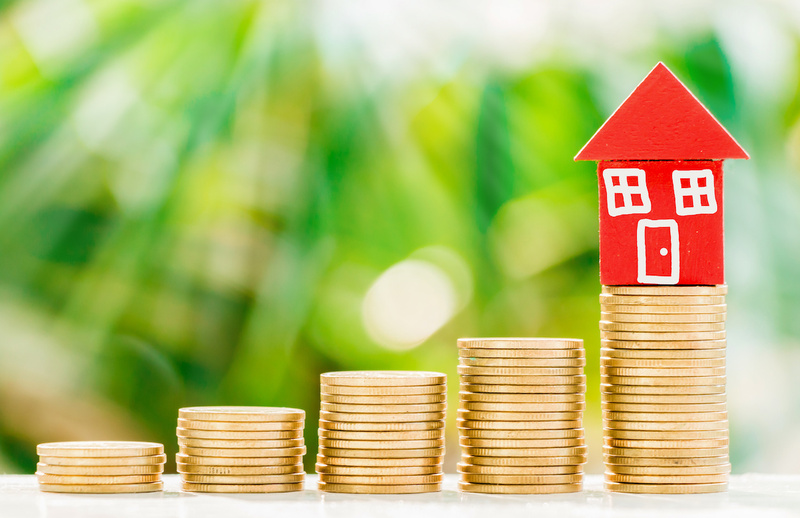 Since the real estate market is always changing, the Federal Housing Finance Agency (FHFA) evaluates the maximum loan limits for conforming loans each year, including jumbo loan amounts. 2019 has seen an increase in the conforming loan limit to $484,350 for a single family home. In areas where the median home prices are well above the national average, the maximum amount for a conforming loan is $726,525. In 2018, the maximum was $453,100 for most areas, and in 2016 it was $424,100. So we can see that the maximum conforming loan amount has gone up as housing prices have gone up. In California, for instance, many counties that are considered high-cost areas. Among them are the Bay Area, Los Angeles, Orange County, and San Diego. In areas such as these, the maximum loan amount is set for each county. Not all counties that have a higher than average median house price have loan limits at the maximum amount. Some have limits set between the standard and the extended limit. Contact us to ask about limits in your county. The US government backs conforming loans. Two government-sponsored entities (GSEs), Fannie Mae and Freddie Mac purchase conforming loans from banks and sell them to Wall Street investors as mortgage-backed securities. There are also non-conforming loans or jumbo loans. These are not backed by the government and are subject to the criteria of individual lenders. Because each lender sets its own guidelines, there is technically no limit on how much can be borrowed for a jumbo loan. Jumbo loan amounts vary on a case by case basis. Lenders often consider them portfolio loans and view these loans as investments. Who Needs a Jumbo Loan? There are many reasons you might want a jumbo loan. In high-cost areas, houses are commonly priced above $726,525. Increased jumbo loan amounts allow home buyers to obtain a mortgage in expensive markets. Anyone who wants to buy a condo that is considered non-warrantable needs a non-conforming loan. A non-warrantable building is one that is new, has a significant retail presence at the street level, or has one individual owning more than 10% of the units. Non-warrantable condos seem riskier to lenders than long-established buildings. Investors looking at a building with 2 to 4 units that will cost more than the maximum amount for a conforming loan will be looking at jumbo loans. You can also find jumbo loans that allow borrowers to get cash out of a property. These loans do not put restrictions on how the borrower may spend the money. There are actually many jumbo loan programs, each with different requirements. Some demand a high down payment, while others are okay with a low downpayment but require the borrower to have several months worth of payments in savings. In general, jumbo loans require a good credit score, but there are programs that allow lower scores if the borrower has substantial cash savings. Each lender will have its own requirements and its own programs. Once approved for a jumbo loan, the loan works pretty much the same way that a conforming loan works. You pay the mortgage every month and at the end of the term of the loan, you own your property. If you are looking at a jumbo loan to finance a real estate purchase, we work with several products to make sure you are getting the best deal on the interest rate and closing costs. We also can guide you on conventional loan options. Together we can find the perfect program for your situation.